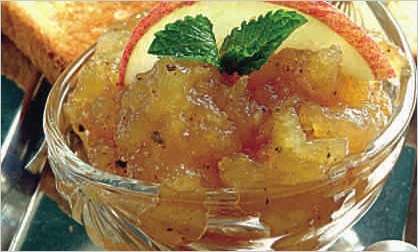 Apple Cinnamon Jam is very delicious. You can used it in a breakfast with a toast.It is very easy and quick to make.Here are some simple steps to make it in oven. Put chopped apple in a micro proof bowl. Microwave covered for 3 minutes or till apples are softened. Add a sugar and lemon juice. Microwave uncovered for 8 minutes or till dry. Add cinnamon powder. Mix well. Transfer to a sterilized and refrigerate. You can also make a pineapple jam in the same way.